What Am I Feeling? 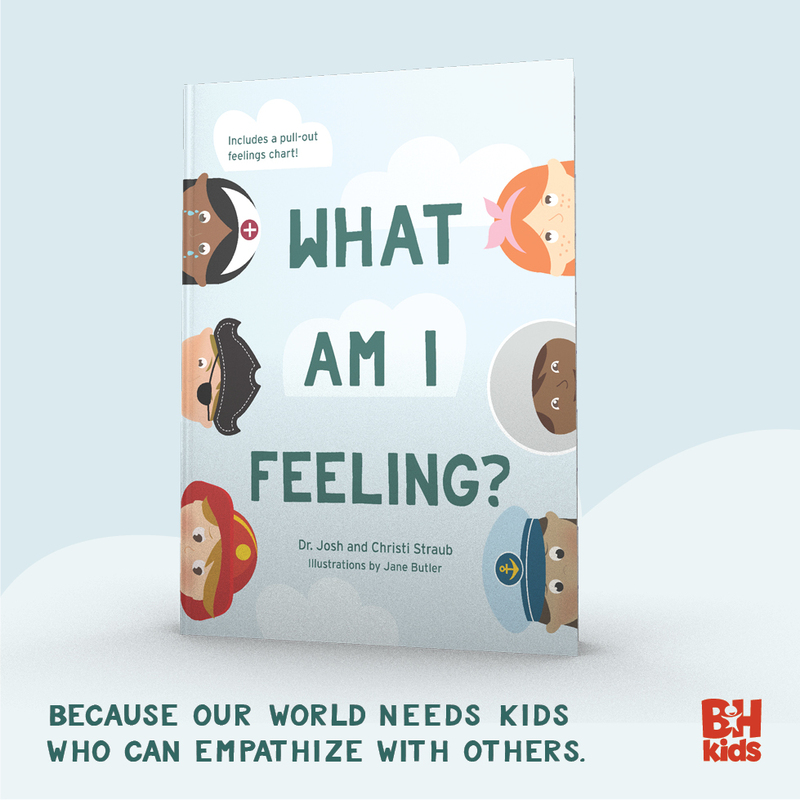 by Dr. Josh and Christi Straub is such a wonderful resource for kids of all ages! My 6 and 2 year old boys both enjoyed listening to this book and were so excited to see the pull-out chart at the end of the book! I love the simplicity of the illustrations and the bright and cohesive color scheme of the book! I appreciate the range of emotions discussed in the book, and that there are extras we can discuss as a family in the included chart. The repeated lines, “a feeling is just a feeling. It’s not in charge of you. If you feel afraid, take a deep breath, name your feeling, and ask God to help you with it,” will be some I hope to use with my boys to remind them that they don’t need to feel controlled by their emotions - that’s helpful to remember even as an adult! I received a complimentary copy of this book from B&H Kids Publishing, but I wasn't required to write a positive review.